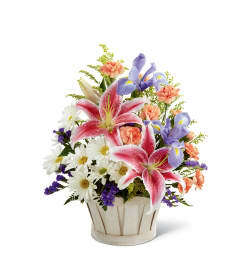 Classically elegant in a way that will never go out of style, this fresh flower arrangement is truly a dream. 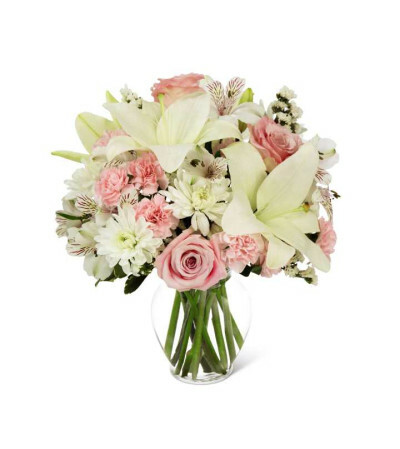 Pink roses and pink mini carnations are soft and sophisticated amongst a bed of white Asiatic Lilies, Peruvian Lilies, chrysanthemums, and statice, perfectly accented with lush greens while situated in a classic clear glass vase. 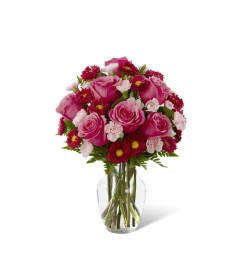 A gorgeous birthday, thank you, or Mother's Day gift!